A recently trained Climate Reality Leader offers tips on fundraising, networking, and taking action to get the most out of a training. I became an environmentalist when I was 14 years old and learned that my city council was evaluating a plastic bag ban for supermarkets. I’d seen photos of turtles being strangled by plastic bags, so I wrote a petition in favor of the ban, gathered 400 signatures, and organized a group of students to present at the city council meeting. Six months and three presentations later, the city council passed the ban and I was elated. It was my first experience taking action on the environment, and I made a difference. I’ve been committed to fighting for the environment ever since, but was never quite sure how to best channel my efforts. When I learned about the Climate Reality Leadership Corps, it seemed like exactly what I’d been looking for. I couldn’t wait to sign up. Below, check out some of the things I learned by attending my first training earlier this month in Denver, Colorado. The training itself is free — a pretty good deal for a world-class crash course on the climate crisis, plus you get free breakfast, coffee/tea, lunch, and snacks — but you have to cover your own transportation and lodging expenses. There are, however, a few ways to cut your costs. 1. Keep an eye out for a training near you. Climate Reality offers multiple trainings every year, throughout the US and around the world. Trainings have been held in Houston, Miami, Chicago, Nashville, and San Francisco, as well as Australia, China, South Africa, Brazil, and the Philippines. If the expense of a long flight just isn’t in your budget, sign up to get more information about upcoming trainings – eventually, there’s sure to be something a little closer to your neighborhood. Climate Reality reviews applications on a rolling basis, so an early application means you’ll hear back sooner and be able to book cheaper flights and accommodations. 3. Crash on a couch. If you have friends or family in the training area, I’m sure they’d be happy to host you on their couch for a few days. If you are headed somewhere entirely new, be sure to join the new Facebook group created for each training. All accepted applicants are invited to join, and it is a great place to connect with fellow trainees and coordinate things like places to stay or carpooling! 4. Fundraise or find a sponsor. 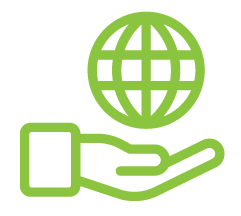 Reach out to family and friends, host a fundraising event, or create an online fundraising campaign. Many universities offer grants for research or conference attendance, so if you’re a student, your school may fund your experience. That’s how I was able to afford the training. In other cases, your employer may consider paying for the trip if you explain how the experience will benefit your work. Find more tips here. My trip to Denver was the first time I had ever traveled and stayed somewhere by myself, so I was feeling a little anxious. My fears eased the instant I got into the registration line and started chatting with a student and professor from Iowa. By the time I got my nametag, I had already made two new friends, and realized I couldn’t possibly feel lonely in a group of nearly 1,000 people who all care about the environment. Your mentor will reach out to you before the event. Mentors are trained Climate Reality Leaders who offer guidance throughout the training and help keep you accountable for completing your Acts of Leadership after the training. Each mentor is assigned only around 20-30 trainees, allowing you to really get to know your mentor. Climate Reality Leader trainees sit at the same table for all of the main sessions, although workshops and panels offer a chance for you to mingle outside of your assigned table. As soon as I sat down at my table, I had 10 new friends. Everyone seemed so genuinely excited to introduce themselves and share their stories, as well as listen to mine. During workshops, receptions, or even just waiting in the lunch line, you have the opportunity to talk to people outside of your table group. I talked to parents about how having children has made climate change an urgent issue, retired teachers about what they wish was being taught in schools, foreign visitors about how their home nations are taking climate action, and kids about why they’re excited to learn the science of the climate crisis. It was incredibly heartening to see multiple generations joining together to fight for solutions. As a college student, I expected to be among the younger attendees but was surprised by the wide range of ages of my fellow trainees. The youngest was 10; the oldest, 78. The average age was 42. The 922 trainees came from 32 different countries, including Nigeria, New Zealand, and Portugal. Climate activists are usually portrayed as idealistic millennials or hippie tree-huggers, but the training showed me that every type of person out there, no matter their age or background, is concerned about the climate crisis. You leave many conferences without a real sense of what you’re supposed to do next to take action. Climate Reality Leadership Corps trainings are just the opposite — you’re given the tools to schedule and give a presentation, the time to develop your own personal story, and the opportunity to create a plan for taking action. All Climate Reality Leaders are required to perform 10 Acts of Leadership in the first year following the training. You leave with the information, skills, and marching orders to be a true leader on climate. Much of the training focuses on how to present former US Vice President and Climate Reality Founder and Chairman Al Gore’s famed climate slideshow and adapt it to different audiences. This can involve anything from presenting at an elementary school to hosting a talk at a local library or offering a forum at your church. If presenting isn’t quite your thing, you can still become a Climate Reality Leader! Writing a blog post or letter to the editor about your training experience, the reality of the climate crisis, or an ongoing campaign in your area can be a great way to take action if you’d rather be behind a pen than behind a podium. Set up a public forum on a climate issue specific to your area. Rally the troops for a sister People’s Climate March in your area on April 29. Organize a group of friends and other concerned citizens to attend a screening of An Inconvenient Sequel: Truth to Power when it hits theaters July 28. Join other Climate Reality Leaders in your area to put together climate education and advocacy events. Whether it’s calling your senator, showing up to city council meetings, or organizing a sit-down with school administrators, you can campaign for vital climate policies on a local, state, and national level. Don’t know where to start? Lean more about I AM PRO SNOW’s 100% Committed campaign to take local action, or if you are a college student, organize a Campus Corps chapter at your university. If you want to learn more about what I learned, check back next week for a blog post on my key takeaways from the training. In the meantime, it’s time to take action on the climate crisis. I’m going to start by working on my Acts of Leadership. You can take action, too, by becoming a Climate Reality Leader. While details of the next Climate Reality Leadership Corps training have not yet been announced, they should be soon, so be sure to sign up to learn more about our future trainings. 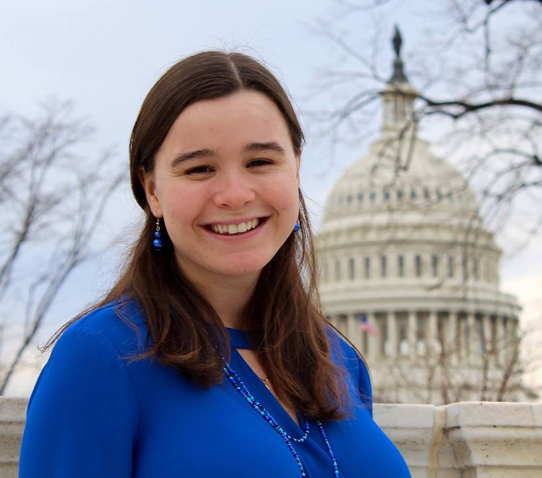 Meredith Soward is a student at the University of Notre Dame studying political science, sustainability, and public policy. She’s currently the communications intern for Climate Reality and a recently trained Climate Reality Leader.